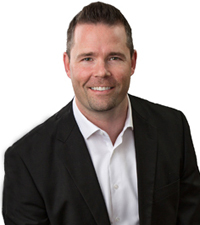 Sam DeBord is managing broker for Seattle Homes Group and VP of Strategic Growth for Coldwell Banker Danforth. Seattle Homes Group is the top-producing team for the top-producing full-service real estate office in Seattle. He is President of Seattle King County REALTORS, and a writer for numerous real estate news outlets. Sam started his career in I.T. and management consulting for PricewaterhouseCoopers, providing guidance to tech startup companies in the Silicon Valley. As a speaker and writer, Sam is known in the real estate industry for being on the cutting edge of issues ranging from technology to legislative policy. He has served as a director and spokesperson for local, state, and national REALTOR® organizations on the topics of industry technology, communications, and government affairs. See more on Sam DeBord's background here.